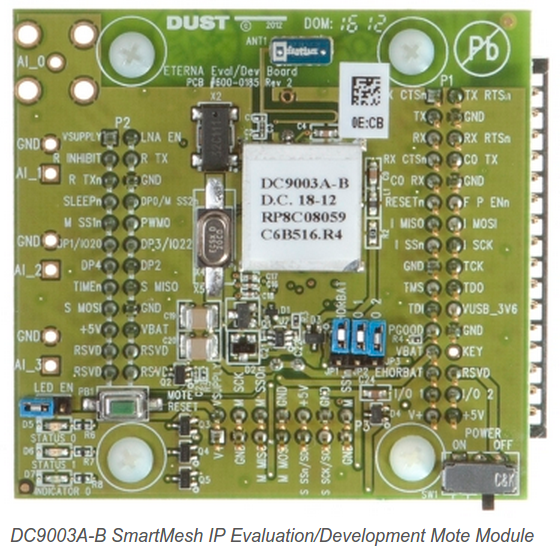 Infinetix recommends the Linear Technology DC9003A-B SmartMesh IP™ Evaluation/Development Mote. 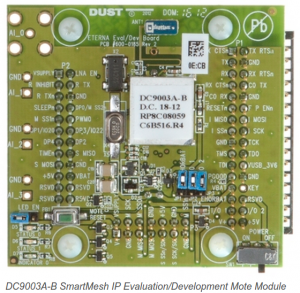 The DC9003A-B Evaluation/Development Mote incorporates the LTC5800-IPM SmartMesh IP™ Mote-on-Chip™, a chip antenna and a CR2032 coin cell. The DC9003A-B is available from Linear Technology in variable quantities or as part of the DC9000B SmartMesh IP™ Starter Kit. 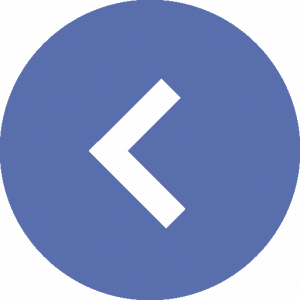 Please contact Linear Technology Dust Networks for more information on the DC9003A-B.